Allen Iverson on his retirement day. After a brilliant and sometimes tumultuous career, Iverson thinks he can help in the front office. PHILAELPHIA— In addition to a devastating crossover and a game that you’d expect to see from guys twice his size, former 76ers guard Allen Iverson was known for not being real fond of practice. But according to an article on nbc sports.com, Iverson would like to help the Sixers find some guys who might have a better attitude toward it. Iverson has expressed a desire to be a part of the Sixers brain trust. That’s right, the guy who often clashed with head coach Larry Brown and was the subject of an angry tirade from former Sixers general manager Billy King when he and Chris Webber failed to show up for Fan Appreciation Day back in 2006, wants a gig in the front office. Because skepticism and Allen Iverson go together like chocolate and peanut butter for some people, many believe that his bad off-the court habits and the perception that being a great player doesn’t mean you can spot talent, will keep him out of the Sixers war room. The skeptics have a point. For every John Elway who has successfully transitioned from the field to both coaching and the front office, there are guys like Ted Williams and Elgin Baylors of the world who were absolute disasters. That statement coming from Iverson has a lot of credibility because he lived it. In street parlance, “game recognizes game.” Sure, Iverson had talent, but you don’t rise from the streets of Norfolk, Virginia as an undersized guard who had done time in jail to become an NBA All-Star without heart. And while it’s not something you can measure statistically, heart is important and Iverson recognizes that. Besides, talent evaluation is an inexact science. Just ask all of the guys who passed on New England Patriots quarterback Tom Brady. Now, I’m not suggesting that Iverson should be the next Sixers general manager, but I do think his experiences as a player—the good and the bad—could be a good starting point. Granted, there’s a whole lot for Iverson to learn and, and the whole suit and tie on a regular basis thing might be a deal breaker. But if Allen Iverson approaches the opportunity to help create a good NBA team with the same conviction he did as a player, he could be a real game changer. I hope he gets the chance. Breaking it Down: Did Eagles Free Agents Moves Put Them in the Right Direction? DeMarco Murray will don the Eagles green jersey for the next five years. The Birds signed him to a five-year-deal worth $42 million ($18 million guaranteed). PHILALDELPHIA—When the Eagles traded running back LeSean McCoy to the Buffalo Bills for linebacker Kiko Alonso, Eagles fans began pulling out their collective hair. When the team didn’t re-sign free agent wide receiver Jeremy Maclin, who was coming off his best year as an NFL wide receiver, and said good-bye to fan favorites like defensive end Trent Cole, many fans started combing the want ads in search of a general manager to put to put Coach Chip Kelly’s baser impulses in check. Was he giving away the farm so he could draft his old Oregon quarterback Marcus Mariota? Or was ESPN’s Stephen A. Smith correct in wondering if Kelly was just thinning his herd of Black players? But when the dust settled, Kelly may have had the last laugh when the Birds landed the biggest prize of the March free-agent period, former Dallas Cowboys running DeMarco Murray. Kelly even took time to dispel any notion that he was still going after Mariota in the upcoming NFL Draft. Although, you probably shouldn’t put it past him given what has transpired thus far. Former Eagles linebacker and WIP Radio host Garry Cobb said the only way Kelly would be able to pick up Mariota if he’s not picked in the top five. “I think the longer he’s on there and he gets to 10, I think it’s going to be difficult for Chip not to make a move to get him,” Cobb said. 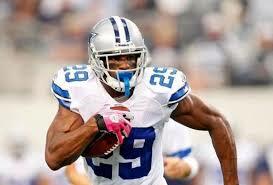 The Eagles signed Murray, the NFL’s leading rusher, to a five-year contract for $42-million ($18-milion guaranteed). The Birds had offered a three-year deal to former San Francisco 49ers running back Frank Gore, but he changed his mind and signed with the Indianapolis Colts. The main caveat with both Murray and Bradford is that they both have had their share of injuries. Bradford missed all of last season and part of the 2013 season with a torn anterior cruciate ligament in his left knee. Dating back to his college days at Oklahoma, Murray has had seven injuries in his legs-knee injuries, ankle injuries and hamstring ailments. That reality made Cobb question the wisdom of the Eagles giving Murray so much money. Last season, Murray ran for a league-leading 1,845 yards and 13 touchdowns while leading the Cowboys to their first NFC East crown since 2009. The former Oklahoma star said he likes the Birds chances of making it to the Super Bowl and winning it. The Eagles also signed former San Diego Chargers star running back Ryan Matthews, who will get a few carries to take the burden off Murray. The Eagles offense wasn’t the only beneficiary of Kelly’s bold moves. The team’s much-maligned secondary got a huge boost with the signing of former Seattle Seahawks cornerback Byron Maxwell. As a key of member of the Seahawks famed “Legion of Boom” secondary, Maxwell led his team in passes defended because teams refused to throw toward his teammate cornerback Richard Sherman. While he is definitely better than what the Eagles had last season, Maxwell has a lot to prove in his first year without arguably the best shutdown corner in the game playing alongside him. According to Pro Football Focus.com, Maxwell was targeted once for every 5.8 cover snaps, allowing just one touchdown and holding passers to a 78.5 quarterback rating. Only three other corners in the league who were targeted as often Maxwell were better than him. In 2014, he had a pair of interceptions and defended 12 passes. Even with Murray and Maxwell, the Eagles still need to pick up a wide receiver and a safety via the draft or the next wave of free agency in June. “We are trying to accumulate as many good football players as we can,” Kelly said. But if they’re not as good as the ones he got rid of, Kelly may be heading back to Oregon sooner than he planned. Will McCoy Trade Make Eagles Better? PHILADELPHIA—The first day of NFL free agency isn’t until next week (March 10), but the Philadelphia Eagles are already making a lot of noise as head coach Chip Kelly begins his tenure as the man in charge of the team’s personnel decisions. On Tuesday, ESPN’s Adam Schefter reported that the Birds have traded LeSean “Shady” McCoy to the Buffalo Bills for inside linebacker and former University of Oregon star Kiko Alonso. The trade can’t be finalized until 4 p.m. E.T. next Tuesday. Meanwhile, McCoy’s agent Drew Rosenhaus denied that the trade has taken place via Twitter. Soon to be former Bills running back C.J. Spiller told the NFL Network the Bills called him to inform him that the team was acquiring McCoy and that it told him that his services were no longer needed in Buffalo. A source close to McCoy told ESPN that 2013 NFL rushing leader is frustrated by the proposed trade and is “not going to make it easy”—whatever that means. The trade was no doubt a cost cutting move for the Eagles because McCoy’s salary counted $11.95 million against the Birds 2015 cap. The Bills will have to pay McCoy, who is signed through 2017, $10.25 million this season. In addition to trading McCoy, the Eagles released longtime defensive end Trent Cole, who would have counted $11.6 million against the salary cap and veteran cornerback Cary Williams whose salary was a little over $ 8 million against the cap. Now the Eagles have to find a replacement for a running back in McCoy who ran for 6,792 yards rushing and averaged 100.2 yards from scrimmage in six seasons playing for the Birds. Last season, he was third in the NFL in rushing with 1,319 yards.McCoy had the best year of his career in 2013 when he rushed for 1,607 yards while leading the league in rushing. The question is will the Eagles go the free agent route for a running back where you have guys like DeMarco Murray and Adrian Peterson of the market or find a new running back in the upcoming NFL draft with players like University of Wisconsin star Melvin Gordon and University of Georgia running back Todd Gurley. Since Kelly’s offense is predicated upon having a strong running game, he needs to replace McCoy’s versatility at that position quickly. That’s going to easier said than done. While everyone likes to say the NFL has become a passing league, you still need a difference maker at the running back position. The Eagles are expecting Alonso to be that tough enforcer in the middle and to play with the same level of intensity he did during his rookie with the Bills in 2013. He had 159 tackles and finished second in the NFL Defensive Rookie of the Year voting. Before the start of last season, Alonso tore his ACL and was done for the season. Because of this and Alonso’s history of injuries, Birds fans are wondering if Alonzo will be the second coming of Ray Lewis, or someone that the Philadelphia 76ers would have wasted a draft pick on. Alonso will need to be a difference maker immediately for a defense that couldn’t stop snitching. The Philadelphia Eagles defense ranked a mediocre 28th in yards allowed (31st against the pass). On the surface, this trade, along with the release of two other veterans is a sign to fans that Kelly is also maneuvering to move up in the draft to get Heisman Trophy and University of Oregon standout Marcus Mariota, whom Kelly coached. But if he were as smart as he thinks he is, Kelly would have used McCoy as a bargaining chip to move up instead of sending him as a birthday gift to new Bills coach Rex Ryan. This also doesn’t do anything to solve the Eagles other problems. The team is looking to re-sign wide receiver Jeremy Maclin. The needs at the cornerback and safety positions are so obvious Stevie Wonder could see them. Kelly’s bold moves will either make him look like the second coming of Dallas Cowboys coach Jimmy Johnson and lead the Eagles to the Super Bowl or make him look like a colossal failure a la Nick Saban and other college coaches who couldn’t make it in the pros. But in any case, the Eagles have already won the one competition they’ve scored high in since Jeffrey Lurie bought the team years ago. They have, once again, won the Salary Cap Bowl. PHILADELPHIA–Are the Philadelphia Eagles threatening to become Oregon East? Or is there a method to Chip Kelly’s madness in what has begun to transpire this NFL offseason? With rumors running rampant that the Birds will make every effort to trade up in the 2015 NFL Draft so that they might acquire former Duck Marcus Mariota, Kelly plucked another one of his star fledglings yesterday when in principle the team acquired linebacker Kiko Alonso from the Buffalo Bills. The Bills’ bill for this Duck? One of the best running backs in the game, 26-year-old LeSean McCoy, the same Shady who led the NFL in rushing in 2013 with 1,607 yards and is the game’s third-leading rusher since he came into the league in 2009. One of the game’s most durable backs (having missed only six games in six seasons), McCoy was the Eagles’ face of the franchise and will be difficult to replace, having amassed over 9,000 yards from scrimmage during that time. Superficially, the move makes sense as NFL running backs tend to wear out faster than the tread on a decade-old tire. And by averaging only 4.2 yards per carry, matching his lowest average since his rookie year, maybe the Eagles are wise to get something in return for McCoy before his value shrinks to nothing, though his age is not a factor. Add the savings on what is reported by the Philadelphia Daily News to be an $11.95 million salary cap number and the move looks savvy. Alonso was a standout for Kelly at Oregon and second in the NFL Defensive Rookie of the Year race two seasons ago, making 159 tackles. When healthy, Alonso plays sideline to sideline and can play every linebacking position. For a defense that finished 28th overall last season (including 31st against the pass), he would seem to be a great acquisition. But the operative words in the above assessment are ‘when healthy’ because Alonso’s resume in that area isn’t exactly sparkling of late. Alonso’s rise to superstardom was cut short last summer when he tore his left ACL while working out back in Eugene. Seven months of rehab followed and while he is reportedly doing well, it remains to be seen if he will be as dominant as before the injury (which was his second major knee injury as he sat out all of 2010 rehabbing an injury sustained in the spring). Just five weeks before last summer’s knee issue, Alonso was sidelined by a torn labrum. And while Alonso didn’t miss a game in 2013, he ‘’tweaked’’ his knee late in the season and played at less than 100 percent. The dropoff wasn’t significant, but he recorded fewer tackles in the second half of the year and didn’t have a sack, forced fumble or interception in any of the team’s final seven games. Does that sound like the type of player one would want to trade for LeSean McCoy? Make no mistake that the Eagles need to get better defensively if they are to get back to the top of the NFC East, a division wide open as the Cowboys face running back issues and the Giants and Redskins hope to rebound from sorry seasons. A healthy Alonso, who in 2013 looked like one of the best young linebackers in the game, could be one of the pieces to get them there. But the Eagles may just as easily be on a wild goose chase in opting for a player, who also has a history of being hypersensitive and carries some off-the-field baggage. In 2010, before he got injured, he was cited for DUI. Then in May, 2011, he was arrested and charged with felony burglary, criminal mischief and criminal trespass. Alonso received two years’ probation and did 200 hours of community service while Kelly suspended him from the team. Almost four years down the road, Alonso has done much to mature and move beyond his shady past. But he will have do a lot more to justify the trade of Shady, one of the best backs in Eagles’ history, in a move that carries just as much risk as possible reward.